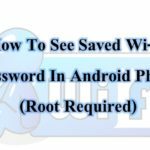 Previously we shared a guide on how to view saved wifi password in rooted android phone. 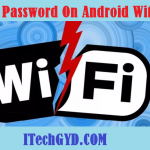 Now today we are going to tell you how to view saved wifi password on android device without root. Now getting save password on an android device can get much difficult than you could on a laptop because there are not much options for doing this, however, in this guide, I tried to go as simple as possible and I hope that you will not face any problems while doing it. This thing can be used for a number of purposes. For instance, if you go to different places and connected to different connections every day, it will not be possible for you to remember all those password. Also, if your friends are asking for a password of a specific cafe and you have been, you can provide them with the password. Anyway, most of the methods that are are available online are with the help of easy to access apps but the problems is that those apps work on rooted android smartphones and we need to look for a guide where we can do this without doing any rooting. After a lot of digging on the internet and going through crappy method of doing this easy thing, I finally figured the guide which you could use. 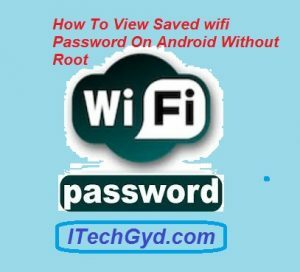 Since we are clear on our goals, let’s teach you how to view saved Wi-Fi passwords on android without root. 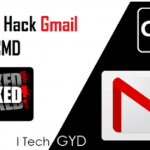 Learn to hack wifi password using android phone without root. Note: We are going to do with the help of an easily available app named ES File Explorer so if you don’t have it already, get it from from this link. Now we are good to go with our guide. Download and install the above mentioned software named ES File Explorer. After you have installed the app and you will need to look for ‘system folder’ in it. Once you have found that folder, go to the data folder. In the data folder, you have go to find another folder named ‘MISC’. Again, in this folder, find the Wi-Fi folder and look for a file named wpa_supplicant.conf. This shows all the Wi-Fi sources which you connected on your android device and then by selecting the each source, you can look for its password. 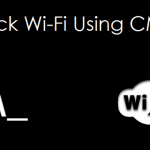 Learn the new trick to hack wifi password on android. So, this is how you easily view Wi-Fi password on Android with root. Wasn’t this guide helpful? If yes, then don’t forget to let us know that in the feedback and keep visiting our website for more free hacks and guides. 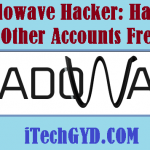 Best Hidden Apps For Texting List And Reviews How to Hack WiFi Password on Android?